Netball Scotland’s Chair, Freda Hutchison, felt that Katherine’s achievements both in and out of her sport made her the perfect role model for other Scottish girls and women wishing to get active and take part in a sport – either as an athlete, or as a supporter or volunteer – and was delighted when Katherine Grainger agreed to be the organisation’s Patron. 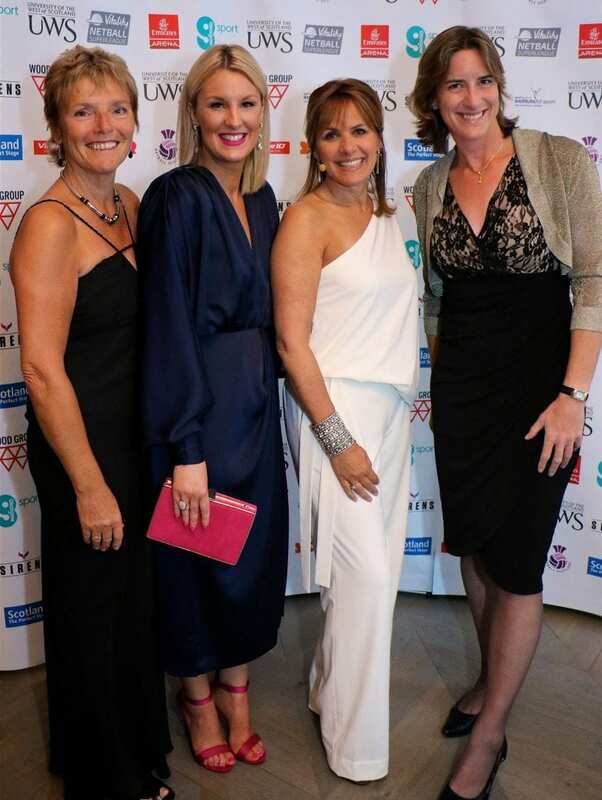 Freda said, “I think it is very important for us to have a successful Scottish sportswoman as our Patron to encourage and motivate women and girls to participate in the sport of netball and who better fits that bill than Katherine Grainger DBE’’. Katherine is keen to help Netball Scotland as they prepare for the World Youth Netball Championships in the Emirates Arena, Glasgow, later this year – which was launched today in front of the new Hydro venue, the venue for the netball finals during Glasgow 2014 – and the Commonwealth Games, also in Glasgow in 2014. Although a rower, Katherine enjoyed playing netball during her school years and sees the sport as a fantastic way of not only getting active and participating in a sport, but also of making friends and building new skills. And with all the major International netball events that Scotland is hosting over the next 18 months, Katherine knows that there is no better time with which to get involved with the sport. Katherine said of her new position as Patron, “I feel deeply honoured to take up my new position as Patron of Netball Scotland. I think netball deserves much more recognition than it gets and if I can help to raise awareness of the events and opportunities around the sport here in Scotland, then I will be delighted. I enjoyed netball as a girl, and I enjoyed joining in the training sessions with the Thistles and the children of Holycross and Hyndland secondary schools. 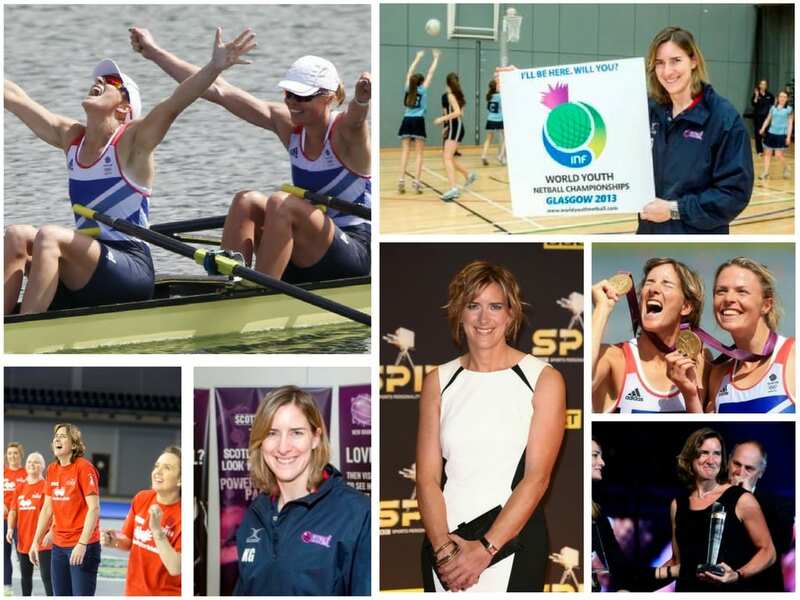 We very excitedly welcomed Katherine Grainger as our Patron back in 2012, and since then Katherine’s career has continued to go from strength to strength. 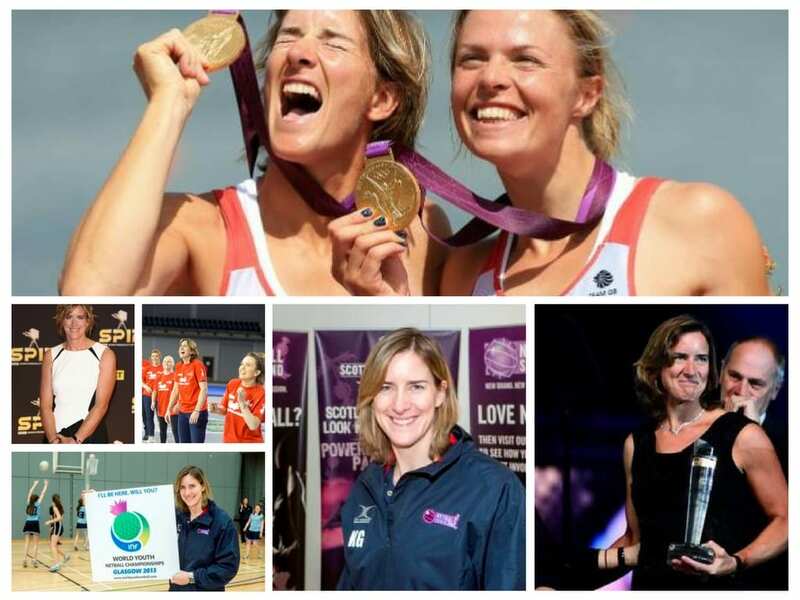 No longer “just” an Olympic Gold medallist, now Dame Katherine Grainger DBE is the proud owner of 4 Silver and 1 Gold Olympic medals from over 5 consecutive Games (2000 – 2016), as well as 6 World Championship titles. Dame Katherine has a law degree, a Masters of Philosophy, and most recently added a PhD to her name. Author, TV Presenter, sports pundit. Is there anything this woman cannot do? Most recently, Dame Katherine took on the role of Chair of UK Sport and we are positive that this wonderfully inspiring role model and Champion for women and girls in sport will continue to make ground breaking strides in the world of sport for many, many years to come.